I'm trying to locate an anthology of international science fiction/fantasy anthology from the 1960s or 1970s. As I remember, it included Borges' "The Library of Babel". Another story was about a man who went for a walk and his head fell off, and the story is how he managed to climb back up his body to get his head back on. I believe this anthology also had a story about a man taking a series of escalators down for miles and miles until he arrives at the lowest level to find the up escalator is out of order. Searching on the publication history of the Borges' story hasn't turned up anything. Do any of these stories sound familiar? This is only a partial answer I'm afraid, but the escalator story sounds like Descending by Thomas M. Disch. I first read it in a 1977 anthology called Decade the 1960s, but there is no story by Borges there and I can't see one about a man losing his head. I have Googled and Googled, but I cannot find any anthology containing both stories. 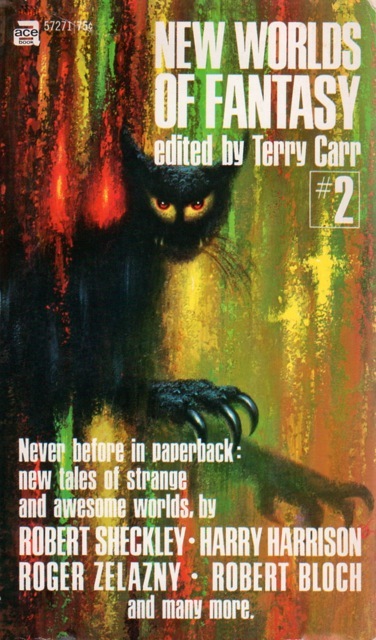 The 1970 anthology "New Worlds of Fantasy #2" contains two of the stories you mention. The Borges story, of course. The story about the man whose head falls off is "En Passant" by Britt Schweitzer. It starts "My head struck the ground with a dull thud, then rolled eight or nine feet into a clump of weeds." Since this appears to be the only appearance of "En Passant", there is a good chance this is the anthology being sought. There is a Disch story in it, but it's not "Descending". It's quite a good anthology, as were the two others in the series. The Italian anthology "Il secondo libro della fantascienza" (= "The second book of science fiction") was published in 1961, and includes 32 proper sci-fi short stories (mostly written by British/American authors) plus Borges' "The library of Babel" as a special appendix. This anthology was published by Einaudi (a renowned publishing house) and edited by Fruttero & Lucentini, so I think it's quite famous, at least in Italy. I read it long ago and don't recognize the other stories, but the combo Borges + sci-fi is quite peculiar. Note that this anthology does not have an ISFDB entry yet (its predecessor does). Not the answer you're looking for? Browse other questions tagged story-identification anthology-book or ask your own question.